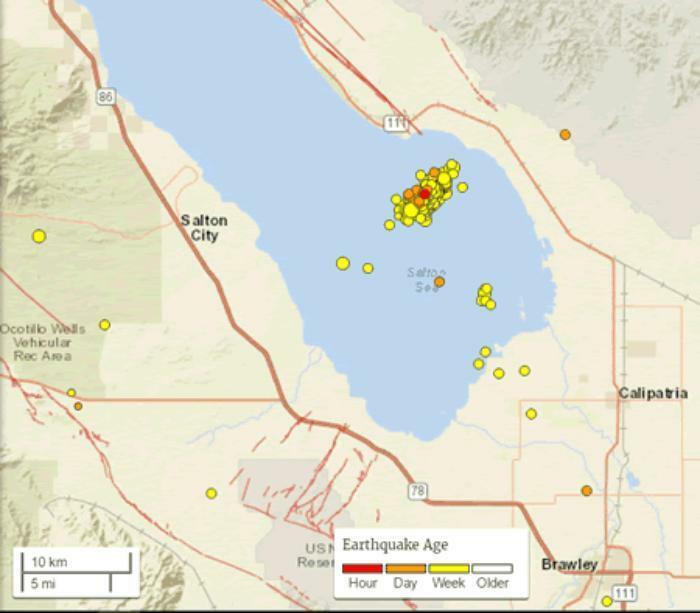 Californians are feeling jittery after a "swarm" of 200 or so small earthquakes near the southern tip of the San Andreas fault. East Coast residents are keeping a wary eye on Hurricane Michael. Midwesterners, at least, are getting a brief break from tornado season but will soon be facing blizzards. Our point is that at any given time, at least one section of the country is facing the possibility of a large-scale disaster. When Superstorm Sandy hit the East Coast a few years ago, consumers found themselves without electricity, water, and sewer services. They were also without gasoline. Generators soon ran out of fuel, as did gas stations. Even if they could find gas, many didn't have the cash to pay for it. ATMs weren't working and credit card terminals were useless without power. None of this is surprising to disaster preparedness officials, who are roundly criticized after every storm for not doing enough quickly enough. But the truth is that while we use the term "first responder" to apply to firefighters, police, and so forth, we must be the real first responders in natural disasters. There simply are not enough fire, police, and municipal workers to bail us out instantly. If a tree falls across your driveway or street, chances are you or a neighbor with a chain saw will get it removed a lot more quickly than the city street workers. No water? The emergency supply in your garage will be a lot more useful than what, if anything, comes out of your pipes for the next few days or weeks. Fortunately, since the aftermath of most disasters is pretty much alike, it's not all that hard to plan ahead and lay in some supplies that will help you get through the critical first days. At a Target store in Southern California over the weekend, as earthquakes rumbled through the Salton Sea area, a consumer rolled up to the cashier with a cart full of large water bottles, canned goods, a first aid kit, and a check list he had torn from the Sunday Los Angeles Times. "Time to update the earthquake kit," he said. The cashier replied that she planned to do the same before leaving that day. Those of a less enterprising bent can simply order a disaster kit from Amazon or the American Red Cross. Hint: You need to do this before the disaster strikes, not after. While the kits include water filters, it's also a good idea to lay in a supply of drinking water. It doesn't have to be spring-fed water from the alps. Just a few one-gallon jugs of supermarket water will do. Remember, the supermarket most likely won't be open after disaster strikes and if it is, water and milk are the first things to go. It's also a good idea to do a little planning. How will you contact other family members after the quake, storm, or fire? 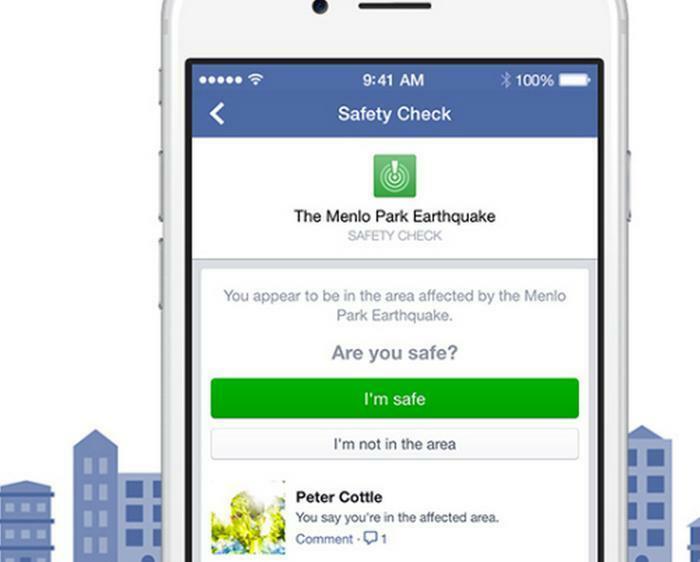 Facebook Safety Check lets you tell friends and family worldwide that you're all right. This, of course, assumes you have internet access. Telephone, cable, and internet services often fail after disasters. The power goes off, cable towers topple, and batteries run down. Messaging apps sometimes work when other channels don't, so you may want to stay up to date with Whatsapp, Facebook Messenger, and so forth. Besides the emergency kit, you should have an emergency wallet containing a few hundred dollars in cash, your identity and insurance cards, healthcare information, and a written list of bank and credit card account numbers. The good thing about hurricanes is that you can see them coming. That's not true of earthquakes and tornadoes, and sometimes even wildfires, but the old "drop, cover and hold" adage still holds. You don't want to be standing up or near anything that can fall on you or electrocute you. The safest place to be in an earthquake, according to the U.S. Geological Survey, is under a table (as long as it's not glass). The old advice of standing in a doorway is considered outmoded. Tornado? Head for the basement. If you're in your car, try to pull over in a safe location -- not in an underpass or next to a huge tree. The only safe place to be in a fire is someplace else. Always heed evacuation orders. Keep your life insurance up to date, kiss your loved ones, and have a nice day.